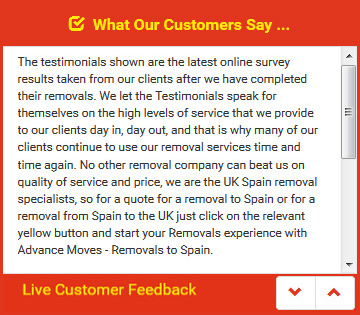 Spain UK Spain removals can be something that people need to do for work, or simply because they have changed their minds about the country they wish to live in. And the same can be true with UK Spain UK removals. It could indeed be a temporary move for work or for family reasons. No matter which country you are moving to, or how long you are going for, there are things you need to do if it is not the country of your birth. Removals to Spain should never be a last minute, snap decision; there should always be a lot of thought about what you are doing and where you are going. Language is something that should certainly be considered, especially if you are moving to another country permanently. Spain removals will necessitate learning at least a little of the language, and ideally as much as possible. Starting a year or more before your move to Spain will enable you to get a better understanding of the language, not least the important words you may need to know about the removals process, and the legal information that will help you move internationally. You should also work out your removals budget. This will need to include all of your relocation costs, such as the removals themselves, property in Spain (either renting or buying), and the cost of travel and transport. It is also a good idea to work out the cost of living once you get there, and ensure that you can meet it. One thing you won�t have to stress about is the move itself if you select the right firm to help you. For Spain UK Spain removals, Advance Moves is the company to assist. Our website (http://www.advancemoves.com/) offers a wealth of advice, as well as our quick quote option. For a more detailed quote, contact us on 0871 218 0612 or email info@advancemoves.com.